Refreshment in a bottle: Gator Vapes Raspberry Riot is a relaxing blend of tangy raspberry and fresh tea. 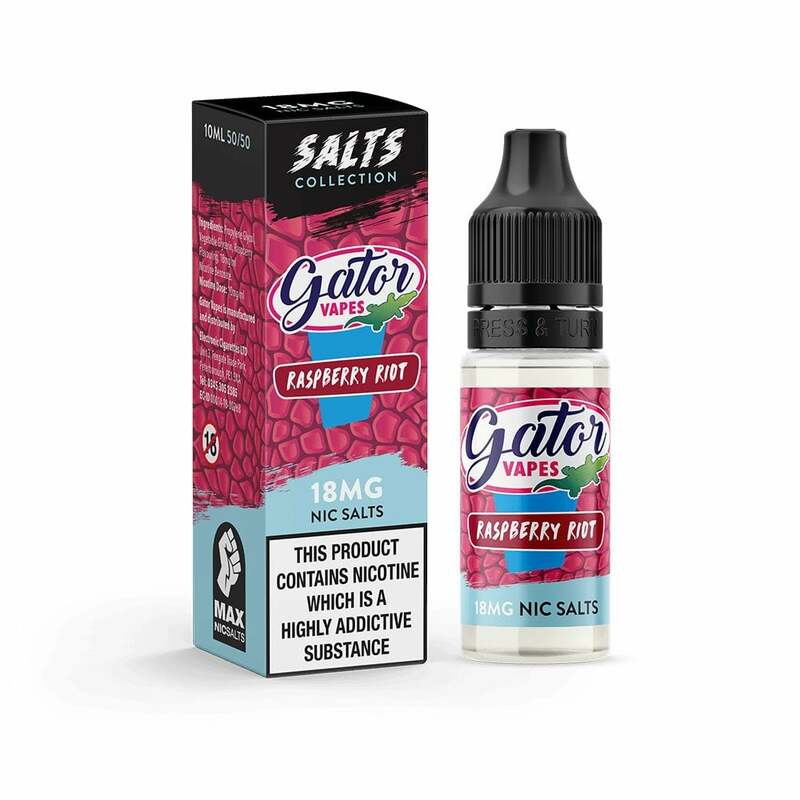 Raspberry Riot by Gator Vapes brings something new to the table, and is perfect as an all-day vape or for kicking back and relaxing after a long day. This vape is really nice.. one of my favs so far.. the raspberry flavour is so sweet and full of flavour. I really like this ejuice it has a nice raspberry taste very little hint of the ice tea! I use it in the orca solo and aspire spryte kits and it tastes nice! If you like raspberry flavoured ejuice you will like this! Plus great value with kit!